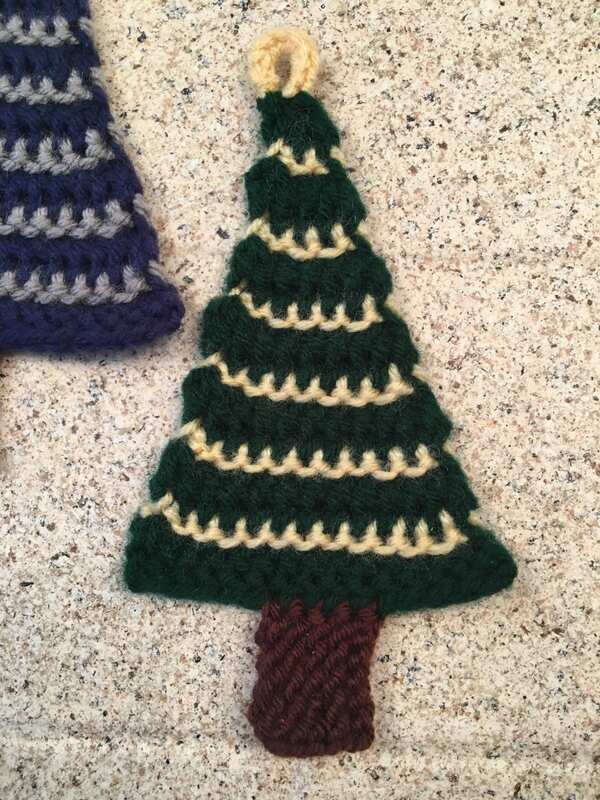 Create loom knit Christmas trees to use as ornaments or to decorate your Christmas gifts. 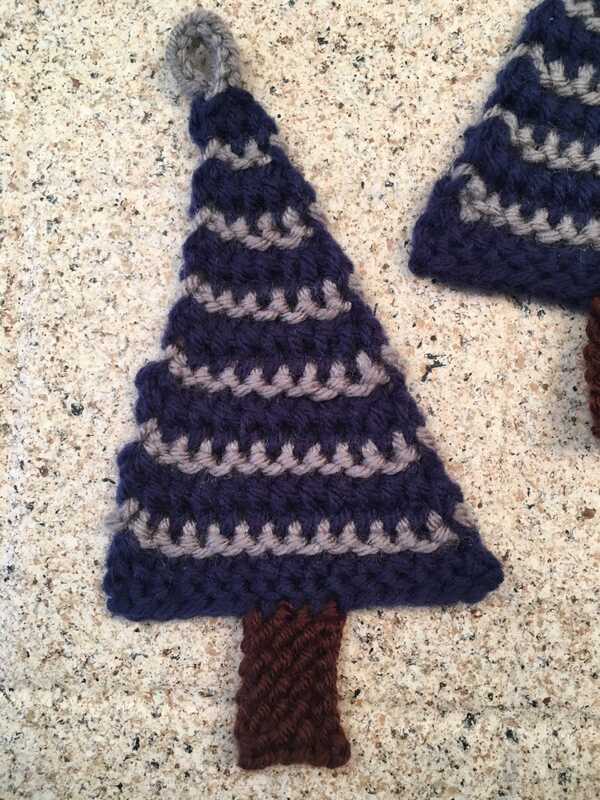 Make them in traditional Christmas colors or in the colors of your alma mater or your favorite sports team. 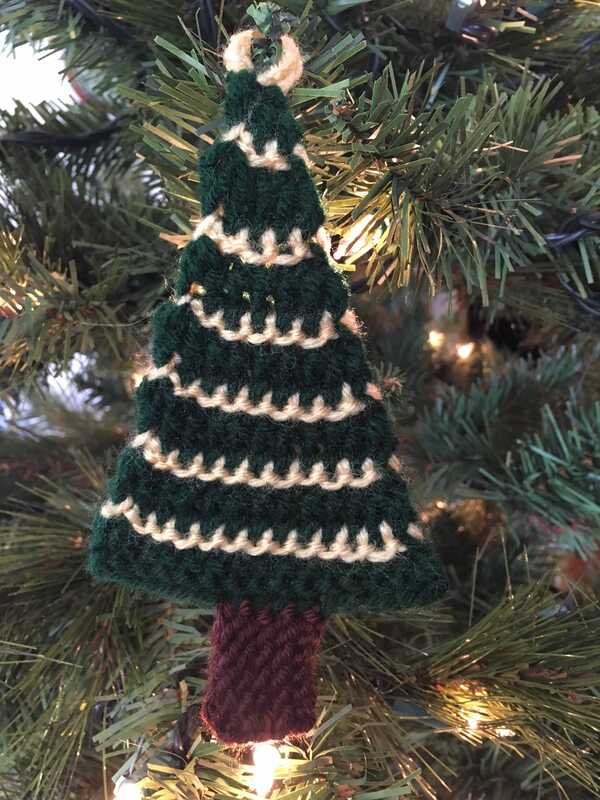 These trees are knit on any 5/16” gauge sock loom (like the His & Hers Sock Looms by Knitting Board) and use just a few yards of each color (a tree color, a garland color, and the tree trunk color). 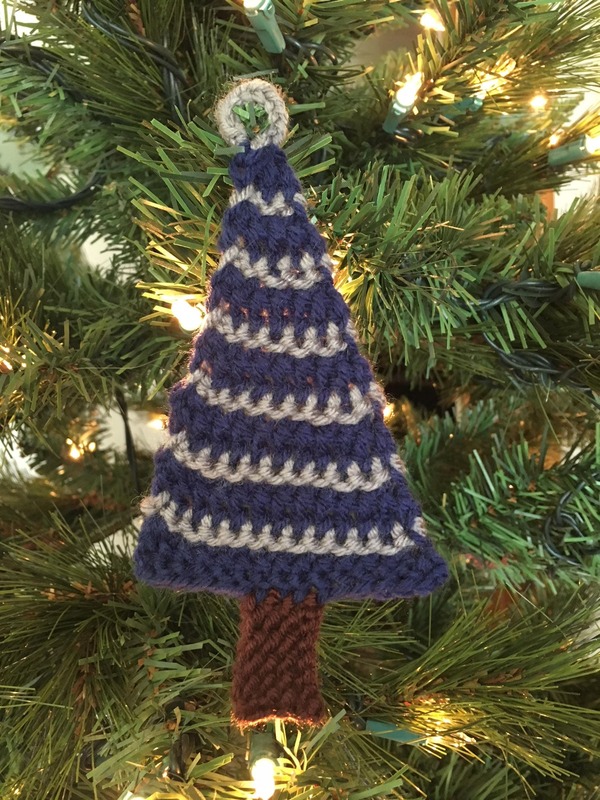 The pattern includes photo tutorials on changing colors and decreasing the sides to make the triangular shape of the tree. You can also see my video tutorial on “Adding a Garter Edge to a Blanket” to see how we add the trunk. 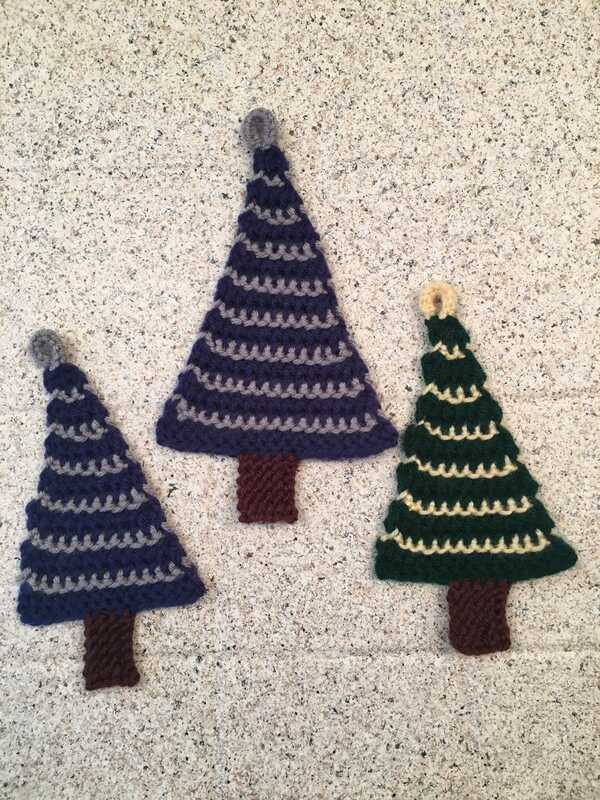 Because of the elements of changing colors, decreasing the sides, and the unique tree trunk, this pattern is suitable for an intermediate loom knitter.